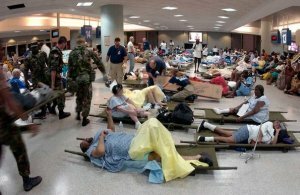 Triage categories separate injured individuals, victims and patients according to the severity of their existing condition that resulted from a catastrophic disaster. A special color coded tagging system is used during a mass casualty incident so that the triage category is immediately obvious. There are several triage systems used around the world and every field worker, physician, nurse and allied health worker should be updated and aware of the existing system used by his or her facility and the community. The North Atlantic Treaty Organization (NATO) triage system is one that is widely used and accepted by many healthcare institutions around the world. It consists of four colors: red, yellow, green and black. Each color signifies a different level of priority which field triage officers and emergency department personnel should take cognizance upon assessment of a victim’s injuries. Injuries are very life-threatening but can be survived with minimal intervention. Patients or individuals in this group can progress rapidly to expectant if treatment is delayed inappropriate. The priority number for this category is 1 and is designated by the color red. Examples of the typical manifesting conditions include; sucking chest wound, airway obstruction secondary to mechanical cause, shock, hemothorax, tension pneumothorax, asphyxia, unstable abdominal and chest wounds, incomplete amputations, open fractures of long bones and partial and full thickness burns of 15%-40% of the body surface area. Injuries are significant and require medical care, but can be delayed without the threat to life and limb. Individuals in this group receive treatment only after immediate casualties are treated. Priority number for this category is 2 and is color coded yellow. Examples and typical manifestations include; stable abdominal wounds without evidence of significant hemorrhage, soft tissue injuries, maxillofacial wounds without airway compromise, vascular injuries, genitourinary tract disruption, fractures requiring open reduction, debridement and external fixation and most eye and CNS injuries. Injuries in this category are relatively minor and individuals are generally able to ambulate without much assistance. Treatment can be delayed for hours to days. Individuals falling within this category should ideally be moved away from the main triage area to make room for incoming victims with grave injuries. Priority for this class is 3 and color coded under green. Common conditions include; upper extremity fractures, minor burns, sprains, small lacerations without profuse arterial bleeding, behavioral disorders or psychological disturbances. survival is very unlikely despite advance treatment and definitive care. Individuals sorted in this group should not be separated from other casualties, but are not generally abandoned. The primary concern of this group is providing comfort measures whenever possible. Priority given to this category is 4 and as color coded under black. Typical expectant individuals under this triage category are those unresponsive with penetrating head wounds, high spinal cord injuries, wounds involving multiple anatomical sites and organs, partial and full thickness burns in excess of 60% of their total body surface area, seizures and vomiting within 24 hours after radiation exposure, profound shock with multiple organ damage, unappreciated vital signs and pupils fixed and dilated.